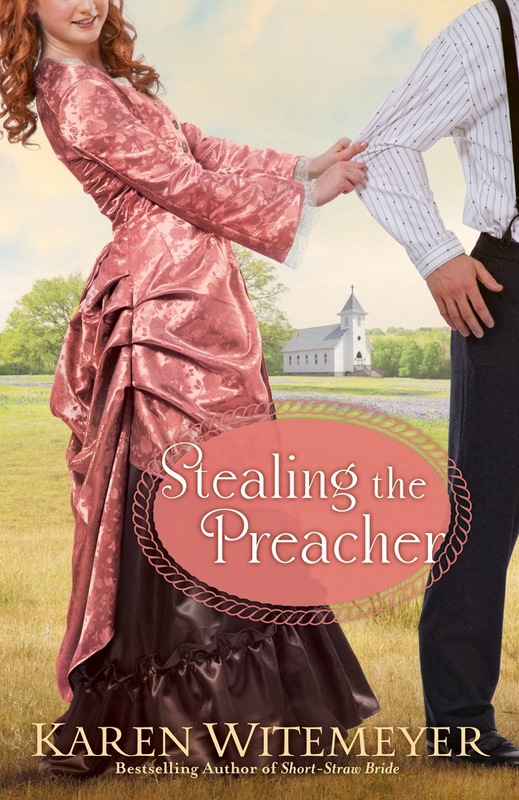 On his way to interview for a position at a church in the Piney Woods of Texas, Crockett Archer can scarcely believe it when he’s forced off the train by a retired outlaw and presented to the man’s daughter as the minister she requested for her birthday. Worried this unfortunate detour will ruin his chances of finally serving a congregation of his own, Crockett is determined to escape. But when he finally gets away, he’s haunted by the memory of the young woman he left behind—a woman whose dreams now hinge on him. For months, Joanna Robbins prayed for a preacher. A man to breathe life back into the abandoned church at the heart of her community. A man to assist her in fulfilling a promise to her dying mother. A man to help her discover answers to the questions that have been on her heart for so long. But just when it seems God has answered her prayers, it turns out the parson is there against his will and has dreams of his own calling him elsewhere. Is there any way she can convince Crockett to stay in her little backwoods community? And does the attraction between them have any chance of blossoming when Joanna’s outlaw father is dead-set against his daughter courting a preacher? This is the third book by Karen Witemeyer that I’ve read and I must say that she hasn’t let me down yet. Stealing the preacher is a delightful read that captivates you (literally) from the very first chapter. It doesn’t take long to see where the title comes in to play in this book as Crockett Archer, on his way to a new preaching position, finds himself kidnapped from the train and hauled off as a birthday present for the outlaw’s daughter. Joanna Robbins has been praying for a preacher to come and is more than a little surprised when one shows up in the most unconventional of ways. The two of them end up working together to both unite their community and lead Joanna’s father into the faith. There is more to this story than just the main characters (as delightful as they are) and every one of the characters in this book add life and depth to the story from Joanna’s grumpy but loveable father to the rambunctious neighbor Jackson. And as I learned more about each character especially Joanna’s father, I fell more and more in love with the book. Karen’s writing style is another thing that I enjoyed. I can be picky when it comes to an author’s voice or style, but no fear with Ms. Witemeyer. Her descriptions are delightful, weather it’s a picturesque church service or a thunderous rainstorm each scene is written in a way that makes the words come to life as I’m reading them. As for the book’s third person point of view her switching between the characters never left me jarred or confused as sometimes happens in books. Her style kept me engulfed in the story and never faltered keeping my attention solely on the book. My only discrepancy was the way Crockett handled the situation with Holly. I won’t spoil it for you, but it just reaffirms to me that when doing ministry with the opposite gender always have a third person with you to back up the situation. This story is one that balances, fun, laughter, faith, and redemption with a flair of action and danger to keep one turning page after page until the book is done.